It's going to start feeling like winter across most of the United States again — no matter what some groundhog has to say next week. Spring officially arrives in a little more than 50 days, which means most of the country has plenty more winter weather in store despite the recent weather pattern. In the last 10 days, at least for a short time, the eastern two-thirds of the country has been looking and feeling more like March or April with warmer temperatures and even deadly tornadoes as opposed to the cold, snowy end of January we can usually expect. That's because the jet stream was in more of a meridional flow — moving more north and south than east and west. This allowed some unusually warm air to invade the country east of the Rocky Mountains while the West Coast received a healthy dose of cold air as well as heavy rain and snow . Now, the jet stream is shifting again, moving to more of a zonal flow — straight west to east. This has caused a stretch of calmer weather, but at the same time, it's also allowing the cooler winter air to return. This doesn't appear to be a major arctic outbreak but a return to more normal winter-like conditions. 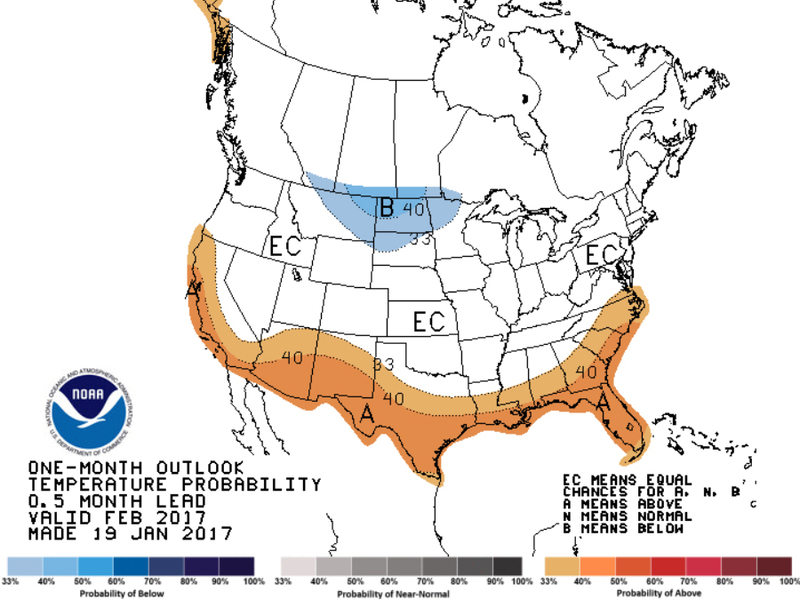 The current long-term forecast models have a similar trend for all of February.